Shopping for a new Lexus LC? The two powertrains in the 2019 Lexus LC couldn’t be more different in character: Tradition-seekers should opt for the V-8 LC 500 but tech fans will be more than satisfied by the LC 500h hybrid’s complex drivetrain. For its second model year, the LC receives minor changes to its performance tuning, as well as gaining a wi-fi antenna plus Apple CarPlay, and Amazon Alexa compatibility. From a design standpoint, we figure the LC is the best-looking Lexus ever, and certainly the most harmonious execution of the polarizing “spindle grille” design language to date. 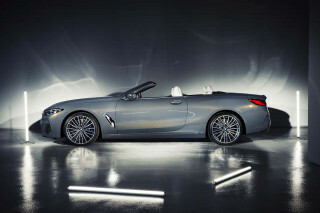 Gorgeous sports car proportions and thoughtful details like the tunnel-effect taillights make for a true head-turner. The interior is a stark reminder that hardly anyone can craft a cabin like Lexus. Its bold material choices reshape our definition of luxury. A convertible LC is likely on the way, but for 2019 the lineup is coupe-only. Despite its SUV-like weight, a capable chassis and some magic from the suspension engineers make the LC a competent handler, and while the naturally aspirated V-8 that comes standard is a delightful old-school touch, the hybrid powertrain feels more befitting of a car looking this futuristic. 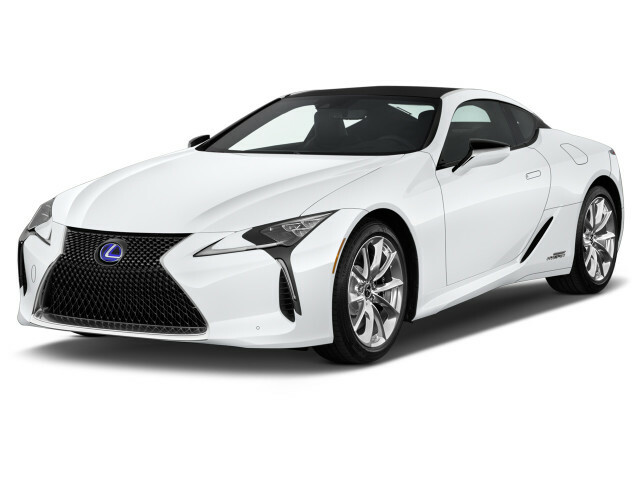 Acting as the brand’s new flagship, the LC is well-equipped like any Lexus but comes at a significant cost, starting at $93,325 for the V-8 LC 500 and $97,835 for the LC 500h hybrid. With enticing performance-related options and other add-ons, that price quickly passes the six-figure mark, a serious indication of this car’s ambitions. No safety information is available, but as expected the LC comes standard with active safety features such as automatic emergency braking. Fuel economy is predictably good for the hybrid model, but the V-8 guzzles when asked to move this car’s considerable heft. The 2019 Lexus LC is a knockout. The LC has more curb appeal at less than $100,000 than the nearly $400,000 LFA supercar that it sort of replaced. This is the first iteration of the polarizing “spindle grille” design that really hits its mark, blending classic wide-hipped sports car proportions with neat touches like the teardrop headlights and tunnel-effect taillights. Stoic hues like white, black, and gray don’t quite do this car justice, so opt for blue or red instead. Inside, the LC is just as stunning, blending curves, levels, and fine materials expertly for one of our favorite cockpits in any vehicle. The stitching patterns on the doors and seats are straight out of a modern art exhibit, and though the infotainment interface is dreadful to use, it sure does look sleek. The 2019 Lexus LC is a competent handler and brisk accelerator, but it can’t quite commit to one identity. The LC comes in two flavors, the old-school LC 500 and the futuristic LC 500h hybrid. Both receive rear-wheel-drive architecture, but other than the name and which wheels are driven, they could not be more different. The LC 500 makes use of a 5.0-liter V-8 borrowed from the RC F and GS F, and eschews turbos or a supercharger for an old-school feel. Cranking out 467 horsepower and 389 pound-feet of torque, this engine is at its best when revved hard, which you’ll want to do for the note echoing from the exhaust. A 10-speed automatic transmission puts power to the wheels, and though 10 speeds can feel like one or two too many, this gearbox shuffles through them quickly and responsively. 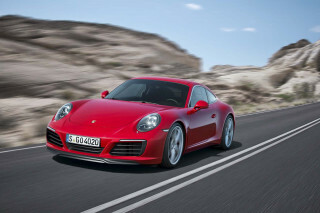 Sixty miles per hour comes in just 4.4 seconds and top speed is pegged at 168 mph. The LC 500h, on the other hand, employs a futuristic hybrid powertrain from the company that started the hybrid craze nearly two decades ago. A 3.5-liter V-6 and two electric motors are paired with a 44-kW lithium-ion battery and 4-speed automatic transmission and a continuously variable automatic transmission (CVT), which act together like a 10-speed automatic. The two electric motors are responsible for low- and middle-range power, while the gas engine kicks in for maximum thrust. 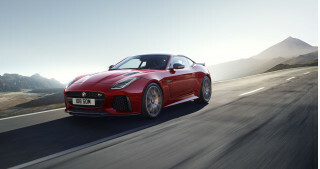 Power output is down compared to the V-8 at only 354 hp, but performance is hardly impacted as 60 mph takes only 4.7 seconds and top speed is set at 155 mph. As impressive as its powertrains are, however, the LC is a sharp handler thanks to its all-new chassis and competent suspension. Steering is pleasingly direct, and grip is immense with just the right amount of play at the rear end, and big brakes help rein in the power. The LC can be driven in Eco, Comfort, Sport, Sport+ or custom mode, but for the best combination of responsiveness and sound, opt for Sport mode. The ride quality is great thanks to an excellent suspension, even though a nearly 4,500-pound curb weight—as portly as a Porsche Cayenne SUV—and 21-inch wheels do their best to spoil things. The 2019 Lexus LC is a Lexus, so comfort and quality are implied. Rear seat passengers may not agree, however. Thankfully, the two front seat occupants are treated to a sea of supple leather, gorgeous design elements, and trademark Lexus quality, as the brand’s designers have crafted one of the most beautiful interiors we’ve ever tested. The cabin comes in three hues, either black, tan, or a combination of blue, white, and orange that is visually striking but doesn’t quite fit with any of the available exterior colors. While the front seats are comfortable and supportive, the rear seats might as well only be used by children, and even then, only those that are under about 7 years old. The trunk leaves something to be desired too, ringing in at only 5.4 cubic feet and even less on the hybrid, not nearly enough to squeeze a golf bag into. The infotainment interface is a mess as well, using the same clumsy touchpad controller as on other Lexus models. At least it gets Apple CarPlay compatibility and wi-fi for 2019, however. The 2019 Lexus LC hasn’t been crash-tested and therefore receives no safety rating. However, buyers are treated to the full suite of active safety features Lexus has to offer as standard, including automatic emergency braking, lane departure warning, active lane control, forward-collision warnings, adaptive cruise control, and a rearview camera. Blind-spot monitors, a head-up display, and automatic parking assist are all optional extras. The 2019 Lexus LC is comparatively well-equipped out of the box, but comes at a heavy price regardless. Starting at $93,325 for the LC 500 and $97,835 for the LC 500h, this Lexus is one of the brand’s most expensive vehicles ever. Active safety features come standard, as well as Bluetooth audio and phone, LED headlights, a Pioneer audio system, and Apple CarPlay and Amazon Alexa compatibility. A stunning Mark Levinson stereo is optional. It’s one of the best we’ve heard with its 915 watts and 13 speakers. If you’re spending this much, why not? 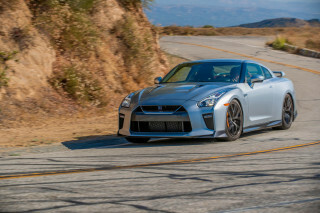 Most other options are performance-oriented, including a limited-slip differential and a Sport package with 21-inch wheels and a Torsen differential, as well as a carbon-fiber roof and active rear spoiler. All of these extras push the price close to $110,000 fully-loaded, which is a big ask for any mainstream brand not named Mercedes, BMW, or Porsche. The 10.3-inch infotainment system is cumbersome and slow, however, and while CarPlay improves the experience this time around, Lexus really needs to update all of its systems and interfaces. The 2019 Lexus LC offers good hybrid fuel economy but the V-8 is thirsty. Naturally, two wildly different powertrains in the 2019 Lexus LC yield very different fuel economy results. A 3 out of 10 rating here applies to the V-8; the LC 500h earns the 5 out of 10 we use for scoring the 2019 LC. The LC 500 earns an EPA rating of 16 mpg city, 25 highway, and 19 combined which is one less highway mpg than last year. 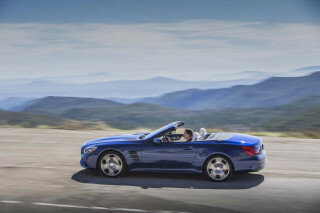 That’s not great for V-8 sports cars surprisingly, largely due to the LC’s considerable heft. Thankfully, the LC 500h uses its hybrid powertrain for maximum efficiency and is rated at 27/35/30 mpg and a nearly 40 percent lower average annual fuel cost by the EPA. Both versions of the LC run on premium unleaded. Looking for a different year of the Lexus LC?